You wake up one day to find yourself in an unknown world, surrounded by strange creatures known as "Beastmens." Haunted by your past, you try to live life as best you can in the new world but trouble seems to follow you wherever you go. As the player, you will guide the protagonist through a series of events. Will you be able to find your way home again? 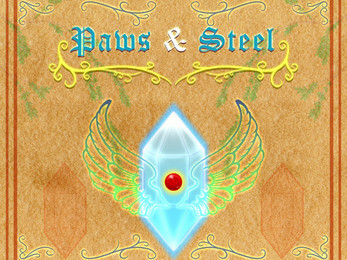 Paws & Steel is a visual novel. 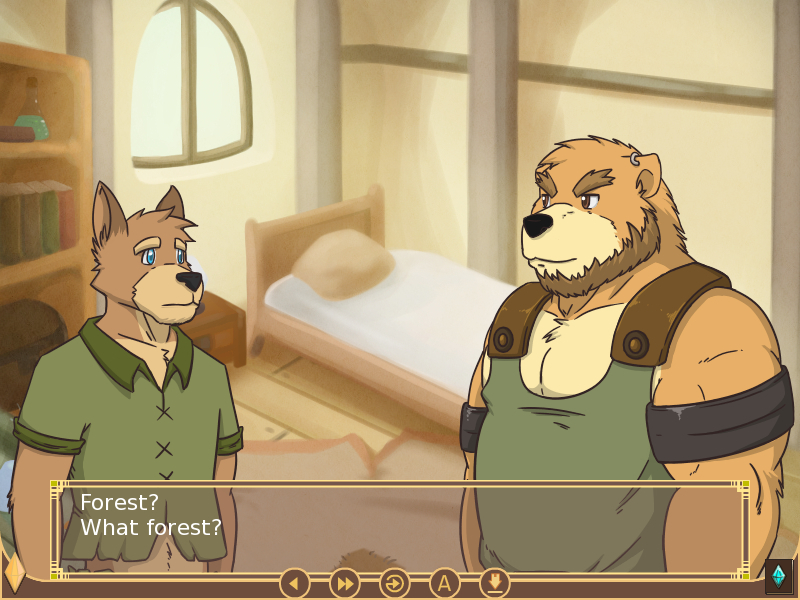 It is a story which consist of 45,000+ words, with several endings and multiple routes to choose as you guide the protagonist through the unknown world. 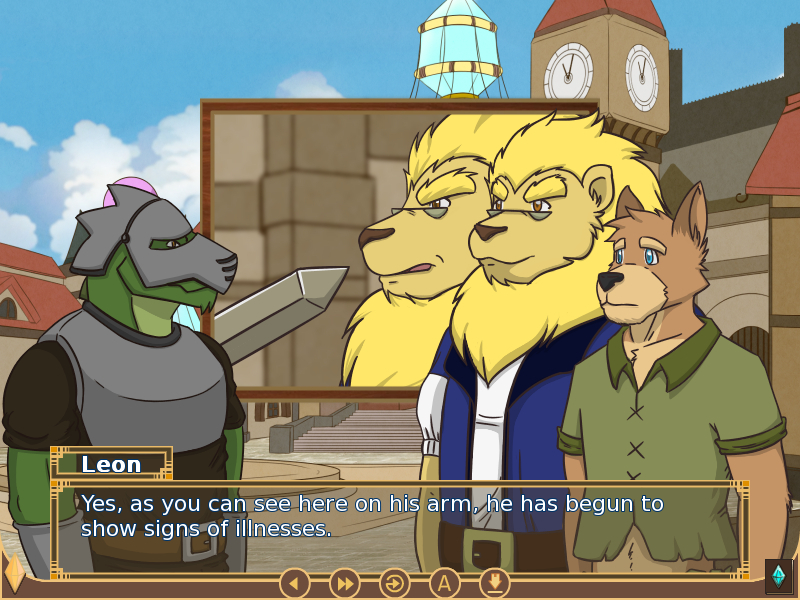 The story also contains three special images and one special ending to be unlocked. (18+) Please note, this story contains explicit scenes and is for adult only! I've just bought the VN and I think it's amazing! Great job/work! I know it's a bit late, but when talking about the past life, did you mean "mortified"?Because my understanding of the word is embarrassed, which in fairness, he did do something naughty in the literal sense. 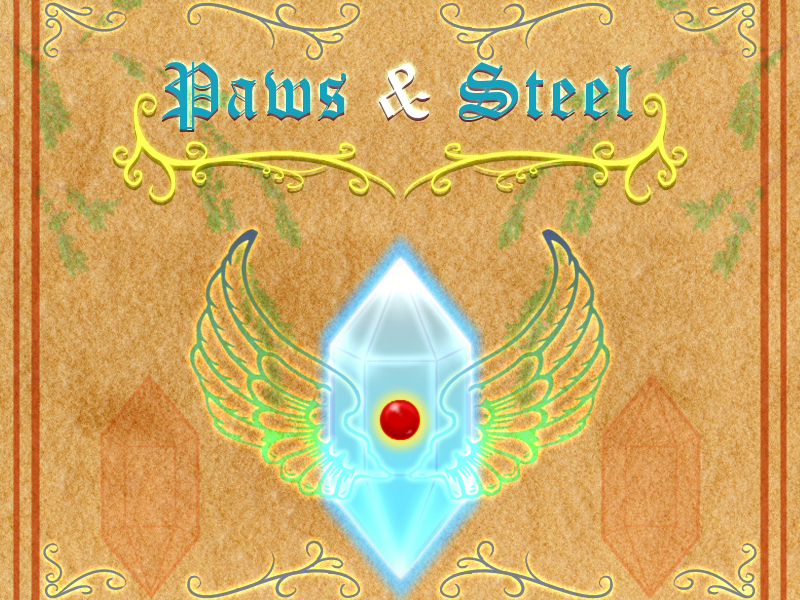 I downloaded the game and extracted the zip file but when I try to run Paws&Steel.exe.app it won't let me. It's not the firewall stopping it because I already gave it permission to run. I will click on it and it will register that I clicked on it, but nothing will happen. I'm on a mac, btw. I hope that you can help because I'm really interested in playing your game! I totally love this game, the way that if you choose different options u will get different scenes / endings and i like the characters alot, i would like to see a continuation to this game. thanks for creating a such well made visual novel. Am I mistaken to see this as a possible sequel to Ocean Blues? since it has references to the human world? The stories for both games are fantastic and hot. Worth every single penny I bought. you have to do it with specific choises. in the tavern choose the same as him so you get the stipping scene afterwards just choose to stick with him, after he tells you to go on convince him. Goro and Leon are just by amount of encounters. advance notice depending on how you respond to Goro in the tavern while dining with him. Depending on how you respond you'll end up getting a diffirent love scene. Please let Goro be a thing in every single VN you make!